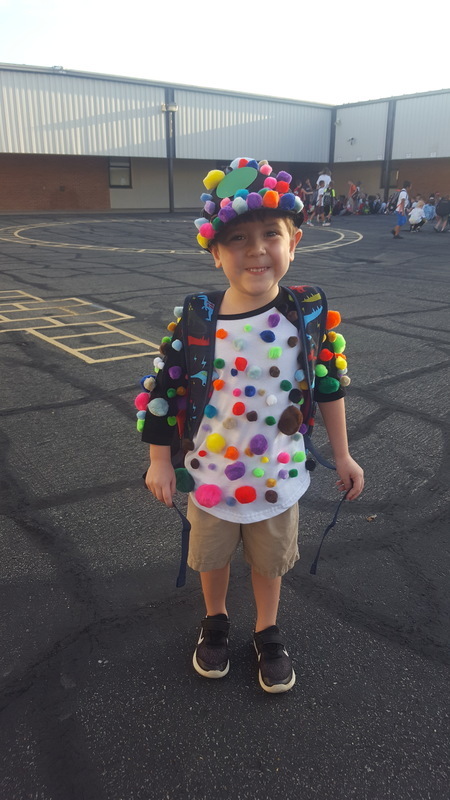 Marks were made all over Sidney Deener, McRae, and Westside Elementary Schools on Friday as each campus celebrated International Dot Day. 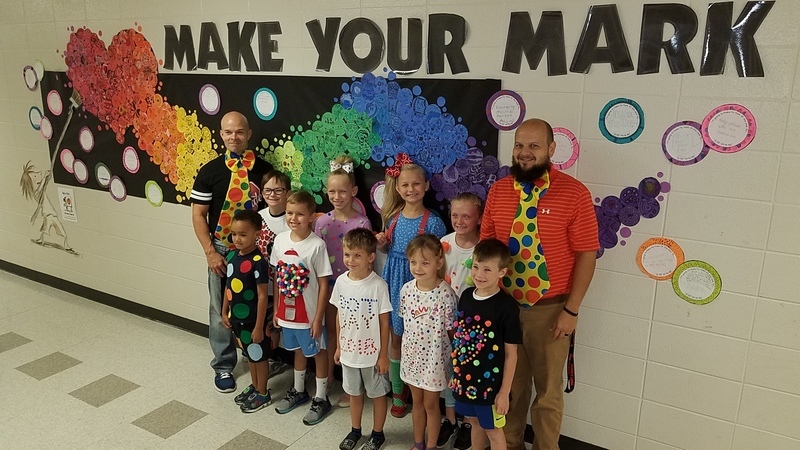 Inspired by author Peter H. Reynolds’s children’s book The Dot, elementary-aged children learned the value of “making a mark” on those around them. In the story, a little girl is afraid to make a mark in art class for fear of making a mistake. The teacher encourages her to just make her mark and sign it. By the end of the book, the little girl is encouraging another to do the same. The book reminds us to “leave our marks” on others by being encouraging, kind, and helpful. Our elementary schools are using this alongside the Capturing Kids Hearts program to create a culture of positivity. Through the program, students are encouraged to be “bucket fillers” for their classmates, teachers, and even at home. Children can fill others’ buckets in so many ways. They might simply give another a smile, compliment a student, or ask a child to play with him/her on the playground. Our students are carrying these invisible buckets and being taught that if you fill someone else’s bucket, you are also filling your own. In turn, if you dip into another’s bucket by doing or saying something hurtful, you are dipping into yours as well. Social/emotional learning, the process through which children and adults acquire and effectively apply the knowledge, attitudes, and skills necessary to understand and manage emotions, set and achieve a positive goal, feel and show empathy for others, establish and maintain positive relationships, and make responsible decisions (CASEL), is something Searcy School District is focusing heavily on as we know that education and social/emotional skills go hand in hand. In fact, at the secondary level, teachers and students are planning exciting activities for the upcoming Character Day being observed on September 26th. Through the Heartbridge classes, students are creating ideas to help be “bucket fillers” on their campuses. Of course, it is always super fun to have designated days to demonstrate these positive attitudes, but our hope is that we will instill this positivity into our students to create an everyday way of life for students “making a mark.” So, here’s a question. Have you made your mark today?